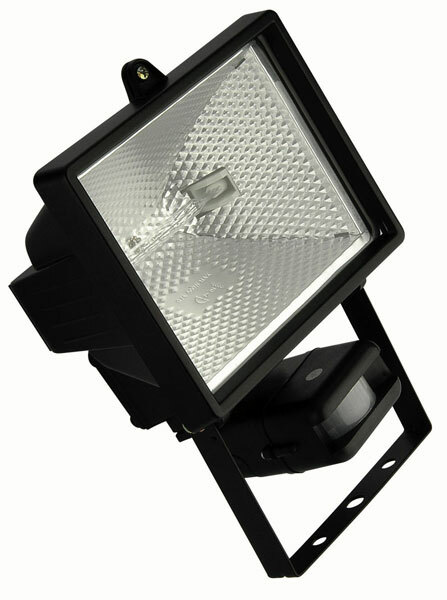 Black finish IP44 rated cast aluminium 500w security floodlight, with PIR motion sensor and override facility. The override facility allows you to switch the light on and it remains on. Great for barbecues and other evening activities. Detection range of 12m when mounted at a height of 2m. Does the PIR move seperatly to the main light. For example can I move it left and right, up and down without moving the main light body. Hello Peter, the PIR does pivot and move up and down, thank you. With the Black Finish Outdoor 500W PIR Floodlight it says lamp required could you tell me how much the lamp is and do you sell the lamp as well please. Please contact the sales office and we can advise what we have in stock and a price. These lamps are available from 100w up to 500w. The lux levels, sensitivity and time are all adjustable on this security floodlight.